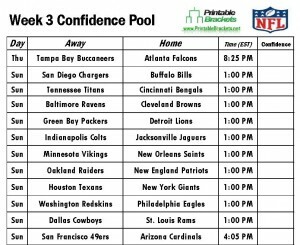 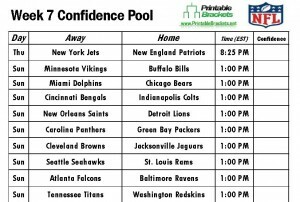 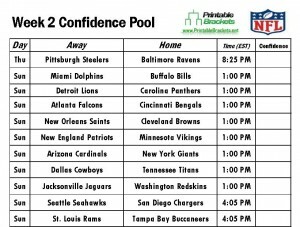 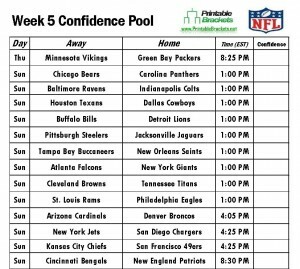 NFL confidence pools are a great way to follow all the action throughout the season. 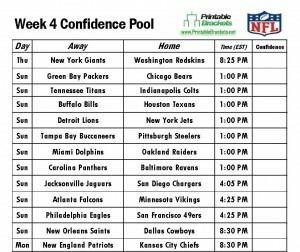 Get NFL confidence pool sheets for free right here! 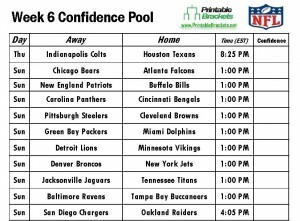 AFC South rivals will collide to open Week 6 as the Indianapolis Colts clash with the Houston Texans at Reliant Stadium…. 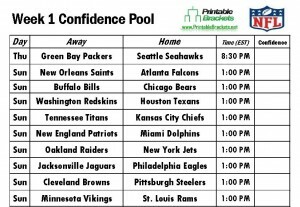 The defending Super Bowl champion Seattle Seahawks open the 2014 season at home against Aaron Rodgers and the Green Bay Packers….